Have you Lost Car Keys in Southend, Do you need a Spare Car Key Cut? Car Keys Southend . Do you need a local trusted locksmith and are based in the Southend area? Have you had the misfortune to have locked the keys in your car in Southend? Or do you simply require a Spare car Key in the Essex Area? This is where we can help. 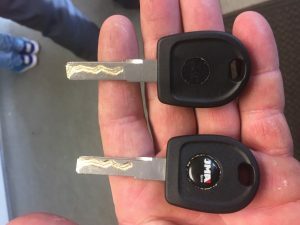 Thurrock Locks are a one stop shop for vehicle key replacement in Southend and Essex region. We are a small family run business with traditional beliefs. We pride ourselves in not only being a reliable company, but offer local residents, local prices. Being local locksmiths our response times can be as little as 10 minutes. Not only saving you time but also costs associated with larger national companies. we operate 7 days a week throughout the year. At Replacement Car Keys Southend, we offer a no fix no fee policy with fixed prices. Our experienced staff will then offer a price to complete the job. You will be under no obligation to accept and there will be no pressure sales (unlike other companies). This means the price quoted will be the price you pay. If when we attend your vehicle we find there to be another problem. We will estimate the costs, and as before, there is no commitment. At replacement car keys Southend we cover most makes and models of car, van or truck. We carry all the latest programming and key cutting equipment on board our vans. So we are able to complete the job whether you are at home, work or at the roadside. This not only saves you time but costs associated with recovering your vehicle to the dealers. For a 24 hour Emergency service covering Essex call now on 07708 759815.